The rigidity modulus refers to the change of shape produced by a tangential stress. Image showing periodicity of the chemical elements for rigidity modulus in a periodic table cityscape style. 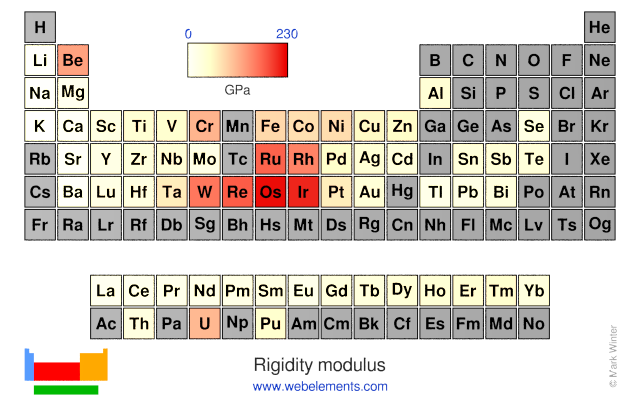 Image showing periodicity of the chemical elements for rigidity modulus in a periodic table heatscape style. 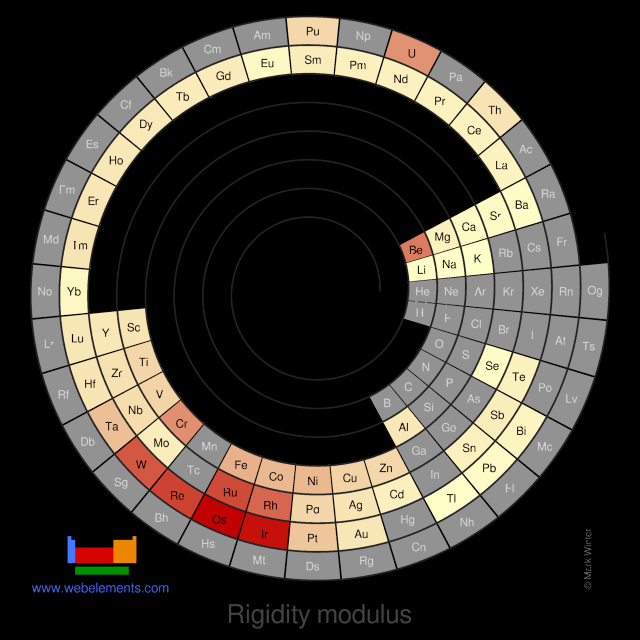 Image showing periodicity of the chemical elements for rigidity modulus in a spiral periodic table heatscape style. 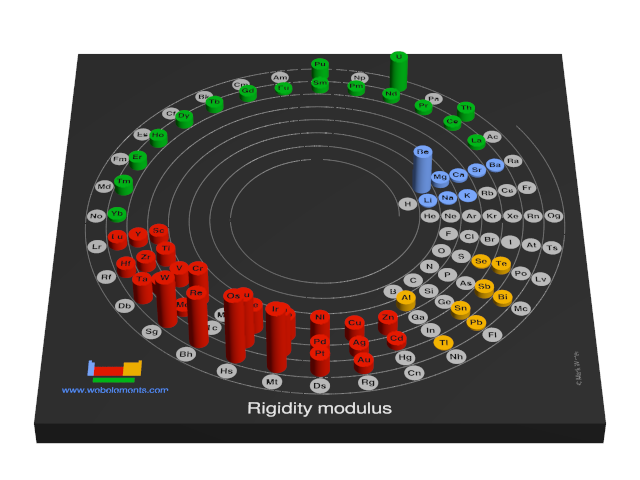 Image showing periodicity of the chemical elements for rigidity modulus in a 3D spiral periodic table column style. 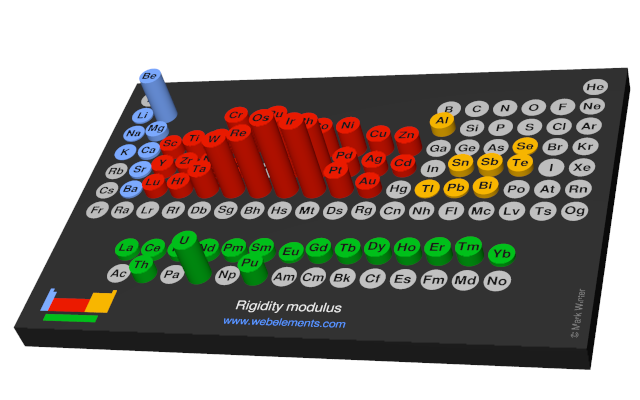 Image showing periodicity of the chemical elements for rigidity modulus in a 3D periodic table column style. The rigidity modulus is also referred to as the shear modulus. To convert GPa to Pa multiply by 109. Data are largely from references 1, 2, and 3. Data for lanthanides were taken from reference 4. Some other data is in reference 5.